This multifaceted department oversees all development and long-range planning and zoning. It also maintains the maps which govern the land use in the City and authorizes permits for building in the City of Eastland. CONTACT: Bill Dolen, Planning Director, Eastland City Hall. Planning and Zoning plays a vital role in the present and future development of the city. Overseeing development through the administration of the City of Eastland Population and Land Use Plan, the Zoning Ordinance and Subdivision Regulations. The department works with developers and property owners to ensure all city Code of Ordinances and state law requirements are met when developing or improving their properties. Information is prepared for the Planning and Zoning Board and Board of Adjustment as well as the City Commission to assist them in reviewing land development projects, standards and policies. All Zoning, Specific Use Permits, Building Permits, Sign Permits, Site Plans, Variances / Exceptions and Platting requests are processed and forwarded to the board for review. Zoning related matters and inquiries are also handled. The Planning and Zoning Board and Board of Adjustments are appointed by the Eastland City Commission. They are responsible for making recommendations to the City Commission on zoning and subdivision matters. The board considers requests for zoning changes, exceptions / variances and reviews new development plans on current city of Eastland zoning ordinance. The City of Eastland regulates subdivision platting within its city limits and extraterritorial jurisdiction (ETJ) through an adopted subdivision ordinance. 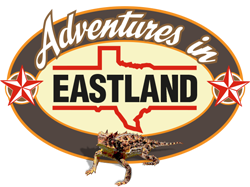 The ETJ of the City of Eastland is the unincorporated area that lies between the existing city limits or corporate boundary and extending outward to a perimeter one-half mile from the corporate boundary. A subdivision plat is a survey, prepared by a licensed registered surveyor of property describing the dimension and location of lot lines, streets and easements. State law requires every owner of any tract of land who divides that tract into two or more parts, to first file a plat. The platting process also ensures that all lots comply with the City of Eastland Population and Land Use Plan and other development regulations. Plats are reviewed for compliance with regulations regarding minimum lot size and lot width, street access and size, utility provisions and drainage and flood protection. The Zoning Ordinance is an ordinance adopted by the City Commission in 2007 which regulates the use and development of land in the city. The Zoning Ordinance divides the city into "districts" and specifies the land uses authorized within each district, as well as the specific development standards (i.e. minimum lot, building and site requirements, etc. ), that apply to each district. A description of each district and permitted uses may be found in the Zoning Ordinance. The Zoning Map is updated after a zone change is approved by the City Commission. The city will make every attempt to provide the most current information possible, however if you are uncertain if a specific property has undergone a recent zoning change, please contact the Planning and Zoning Department at 254-629-8321 for the most current information.